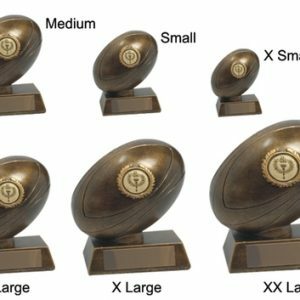 Price includes engraving and proofs sent free of charge. 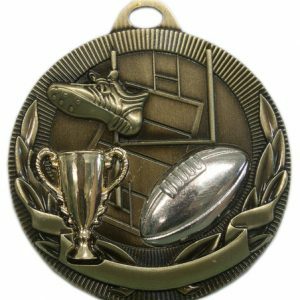 Resin Mini Rugby Spinner Trophy. 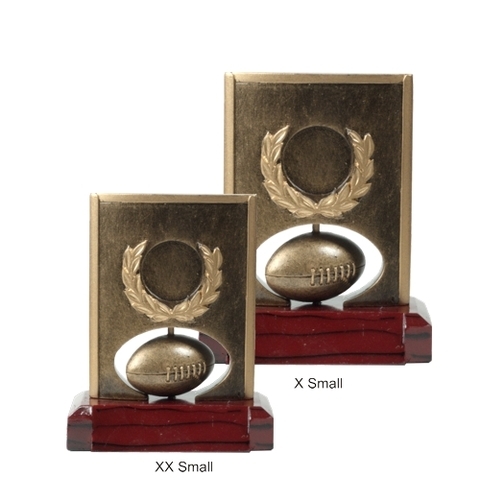 This is a detailed Rugby trophy made from durable coloured resin. 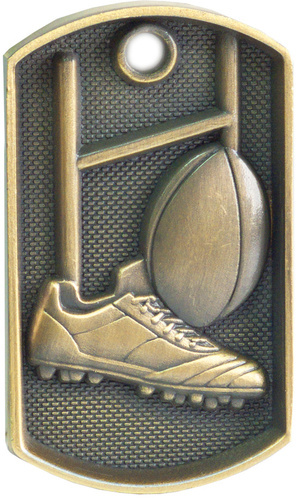 Price includes engraving (upto 3 lines) onto a gold plate specially chosen to compliment the trophy. You can choose your font and add a fancy underline (optional). Choose a standard insert or email/upload image/logo and we will create a full colour insert for you (+$1 each). 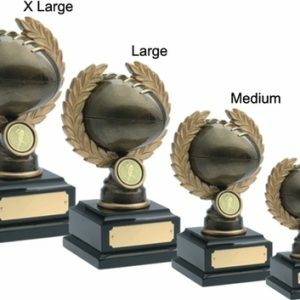 choice@engraveit.co.nz (after purchase) with engraving instructions.